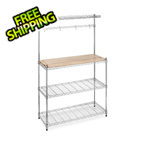 Organize your home, office or garage with the Seville Classics Heavy-Duty 5-Shelf UltraZinc™ Steel Wire Shelving System. 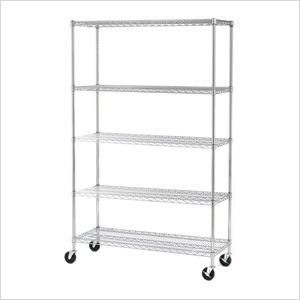 This versatile shelving unit is constructed from industrial-strength UltraZinc™ plated steel and requires minimal assembly. 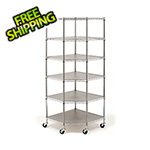 Each shelf holds an even distribution of up to 600 lbs. 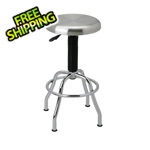 while on adjustable leveling feet or 100 lbs while on wheels.